Peter Stark is a historian and adventure writer. He is the author of the New York Times bestseller Astoria, along with The Last Empty Spaces, Last Breath, and At the Mercy of the River. He is a correspondent for Outside magazine, has written for Smithsonian and The New Yorker, and is a National Magazine Award nominee. He lives in Montana with his wife and children. 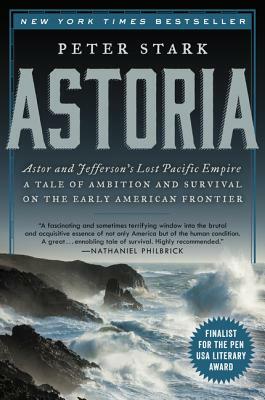 — Nancy Pearl on NPR's "Morning Edition"
Astoria is a scintillating corrective to the “guts and glory” school of American history and economics. [...] Grandiose visions ... have consequences, and Peter Stark’s depiction of the body count that results from this one unfolds with the inevitability of a fine tragedy and comedic zing of a good action flick.